New farm law to block foreign land ownership: Another ANC move to shut out whites? 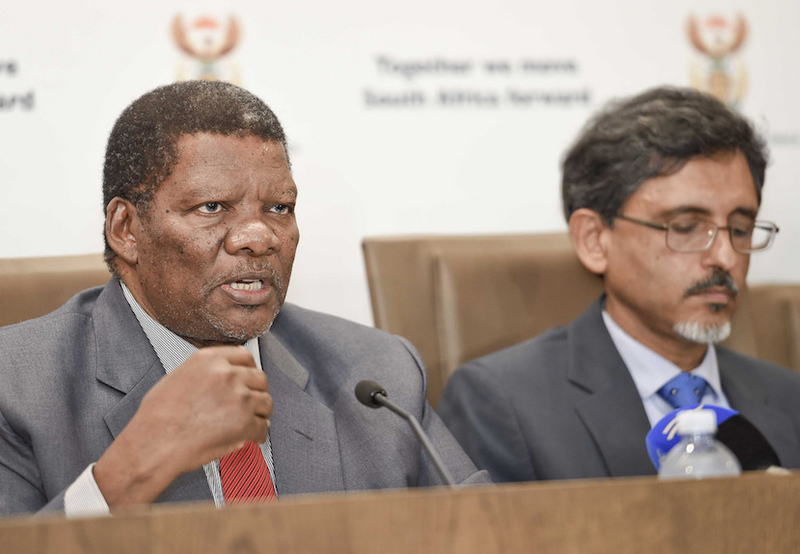 Cape Town – Rural Development and Land Reform Minister Gugile Nkwinti published the Regulation of Agricultural Land Holdings Bill on Friday, giving stakeholders until April 16 to submit comments. If promulgated as an act, the law will ban foreigners from buying agricultural land and require them to enter into long-term leases. Foreigners selling land would also have to offer the minister “the right of first refusal to acquire ownership of such agricultural land holdings”, Nkwinti explains in the gazetted bill. 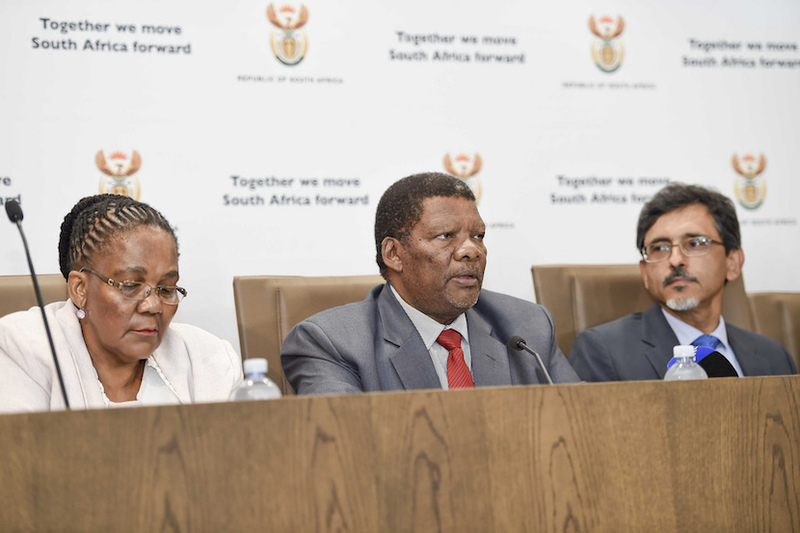 Minister of Rural Development and Land Reform Gugile Nkwinti and Minister of Economic Development Ebrahim Patel during the media briefing on the progress made on the government and construction settlements agreement signed in 2016. The bill will see the creation of a Land Commission, which will oversee the collection and dissemination of all information regarding public agricultural land in South Africa.The reason for this is because “the nature, extent, trends and impact of land acquisition, land use and investment in the country’s land by foreign persons remains unknown as no comprehensive database exists to develop an understanding of such”, Nkwinti explains. “The decade from 1997 to 2007 was characterised by significant shifts in ownership and land use including increasing acquisition of agricultural properties by foreign nationals in certain regions,” said Nkwinti. There is also an “absence of reliable information regarding the extent of agricultural land holdings owned by South Africans in terms of race and gender as well as the use and size of the land in question”. As such, once the act commences every owner who owns a private agricultural land holding “must lodge a duly completed notification of ownership in the prescribed format with the commission within 12 months from the date of the commencement of this act”. In this notification, they will be required to detail “the race, gender and nationality of the owner; the size and use of the agricultural land holdings; any real right registered against and licence allocated to the agricultural land holdings; and any other information as may be prescribed”. Regarding the redistribution of agricultural land, black people must be offered the right of first refusal. “If no black person … acquires the redistribution agricultural land within the prescribed period, such land shall be acquired by the minister within the prescribed period. “If the owner of the redistribution agricultural land and the minister are unable to reach an agreement on the purchase price, the minister may, subject to legislation regulating expropriation, expropriate the redistribution agricultural land in question,” said Nkwinti. Neither Nkandla nor SASSA has the potential to split the ANC as much the land issue. Rarely has the party been as out of sync with its Pres. Regarding a cap on how much land can be owned, Nkwinti said the minister will “determine the categories of ceilings for agricultural land holdings in each district” after the act is in place. In 2015, he said foreigners with land holdings above the proposed cap of 12 000 hectares will – once the land holdings bill is signed into law – need to sell any excess agricultural holdings. During his 2015 State of the Nation Address, President Jacob Zuma shocked the nation by announcing that foreigners in future would “not be able to own land” and would be forced to lease properties. He did not spell out what would happen to existing foreign-owned land, but said local farmers’ land would also be restricted to 12 000 hectares. The aim of the Regulation of Agricultural Land Holdings Bill is to reverse the legacy of colonialism and apartheid and to ensure a “just and equitable” distribution of agricultural land to Africans, the minister explained. “The complexity of multiple tenure regimes as a result of a history of settler and imperial colonialism, dispossession and social engineering was acknowledged in the 1997 White Paper on Land Reform which proposed a further Green Paper on Tenure Reform.